Jade articles have a long history, from milled jade articles to exquisite jade carving works. Jade articles develop with the development of society, and jade culture is also richer. But nowadays, as the jade collection continues to heat up, the market has become muddy and mixed. Judging by the naked eye, experience talk. Materials are the primary premise of jade collection, and high-quality jade is essential for a jade. At present, the usual price, the same level of jade is 6-8 times that of the mountain. In the market or online, it is more common to use the skinless mountain or Russian material, and the rice and rice materials are sold. The Russian material is also a mountain material and has the same material composition. The Russian mining material is called Russian material. The price is much lower. The characteristic is white, but the jade is too watery, it is too transparent, and the density and oil texture are both. It is better than the authentic and Tianzi jade material! If it is sold with Russian materials and Tianzi materials, it is difficult to distinguish it from the experience, and it is currently in the market or online. The real sheep fat jade, there is no standard in the country, it is produced in ice and snow covered glaciers. If the sheep fat is white, it is not only white but also not anti-green. Its oiliness is extremely high. It is not the same as the mountain material or the jade that the general color reaches the sheep fat grade. Some old players have been hard to find for decades. The fatness of the sheep fat jade is combined with its rarity, so the jade jade often finds the fat of the sheep fat, and it is difficult to feel the blue sky. It can be said that now that there is money, it is not always possible to buy the refined product Yangzhiyu. Nowadays, most of them are self-proclaimed sheep fat jade. In fact, most of them are high-white mountain jade or son jade. 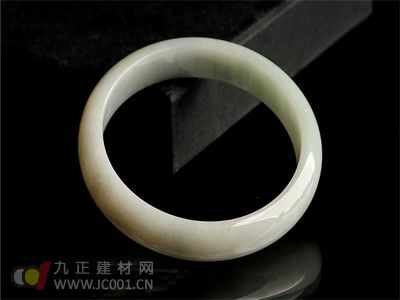 For example, high-white jade without skin is mostly mountain material. The jade workers know that the price of the jade is several times higher than that of the high mountain. When doing work, you must try your best to keep the skin. Some people who try to make fake leather for the purpose of posing as a jade are also often seen. The skinless jade is not a child jade, it depends on the experience and eyesight of the appraiser, so it is often controversial. According to the same level of Hetian jade, the sub-materials are the most expensive, followed by mountains and rivers, followed by mountains. Modeling is the aesthetic framework of jade, and it is also an important factor in determining the value of jade collection. The shape is determined by the function and the shape of the jade, and the proportional trade-offs should be appropriate. Well-proportioned and not dull, balanced and stable is the beauty of the work. The ornamentation is the decoration of jade, and its beauty and ugliness are easy for people to perceive and feel. Generally speaking, it is subject to the needs of the device type, or both of them depend on the needs of social functions. The decoration depends on the structure, the rules, the complexity, the sparseness, etc., and the structural rules are methodical, and the unity and harmony have the appreciation value. The jade craft is the technical condition of the material changer. Its nature is relatively stable and it is not easy to be recognized by people. It is a difficult problem in appreciation. Wherever the work is smooth and fluent, the skilled workmanship must be beautiful or relatively beautiful. On the contrary, the plate is sluggish and the water is muddy, which is a sign that the value of the collection is sharply reduced. Art is the highest level that every jade is pursuing and the hardest to do. All the vivid and vivid, both form and spirit are the expression of artistic beauty, reflecting the rich collection value. On the contrary, the craftsmanship is poor, the art is inferior, and the works of the ancients who violate the artistic beauty are much less appreciated. Therefore, in addition to paying attention to the material of jade, the jade collection should pay attention to the craft level of jade and pay attention to the artistic nature of jade. The reason is very simple. The better the material of jade, the rarer the stock in nature, the more difficult it is to process. The harder it is to make a good jade, the higher the value.